When a 3 year old learns to use the grown-ups’ toilet for the first time, everyone cheers the clever little fella. Similarly, the first time people saw the 6ft 4 inch Andy Carroll bring a size 5 football under control, misguided souls marvelled at a man of that size performing basic ball skills. “If he can do that, it’s well worth sticking him in the national team and firing forty-yard balls up to him”, a nation dreamed. However, like the pre-schooler’s lavatorial prowess, the goodwill was soon exhausted. Centuries from now, Andy Carroll will form part of a cautionary tale. A parable warning of mankind’s boundless scope for lunacy. Children will hoot like owls as their parents laughingly recount the story of how Liverpool fluffed £35m on a malcoordinated centaur. The most expensive British footballer ever (at the time) managing just six league goals in two disastrous years at Anfield. Watching Andy Carroll is like watching a 16 year old boy trying to unhook a brassiere. You’re willing him on despite (or possibly because of…) how cumbersome he is. He might get the hang of it one day but nobody is prepared to bet on it. Kenny Dalglish exposed a horribly dated view of how football should be played when he purchased this two metre man-child and an orthodox winger (Stewart Downing) instructed to send high balls in to him. It would be cold-hearted man who didn’t feel at least of pang of sympathy for Carroll at Liverpool as he vainly attempted to justify his astonishing price-tag. He looked like a summer intern who had mistakenly wandered into an executive committee and been made to answer complex questions on the company’s debt to equity ratio. But sympathy turned to sheer bemusement when Sam Allardyce announced he was prepared to waft £15m up the swanny to have Carroll gallop aimlessly around Upton Park instead. Carroll has now broken the transfer record at two separate premier league clubs. It just seems cruel for him to be fettered with another huge fee. At what point does the poor sod have to beg to be let go for a nominal sum purely for the sake of his sanity? It’s not even as though he is a robust athlete, in the Dirk Kuyt mold. One that will give you 38 games a season of solid service. He seems to spend most of the year racking up further fees on the treatment table. If Carroll was a horse, his owner would have had more than a few furtive glances in the direction of the shotgun cabinet by now. There is, though, in football, this curious inability to lower your previous transfer fee by any great amount. Even when a player proves beyond all thresholds of doubt that they’re not worth such riches. One might call it the Heskey Paradox. Try as he might, big Emile couldn’t get his transfer value below £5m for love nor money. No matter how many barn doors he circumnavigated from close quarters, clubs just couldn’t wait to shell out on the misfiring Midlander. It was only aged 31 and with no sell-on value that Aston Villa, Heskey’s fifth and final premier league club, finally settled for paying less than the psychologically important £5m barrier. Heskey must have wept with relief when the deal went through. It’s almost as though a previous high transfer fee, even without it ever being justified, still carries some weight of its own. “But he must be worth £15m, he was once worth £35m!” chairmen seemingly cry. The dead hand of the former transfer fee lingers. It would be fascinating to see what kind of fee Fernando Torres would command on the open market now, three years after his very considerable ability seems to have deserted him. You simply can’t sell a £50m signing for £10m. In the meantime, Allardyce has turned to a free agent, Mladen Petric, as an option up front in Carroll’s absence (he’s injured again). Petric didn’t cost the Hammers a penny, despite being a Croatian international with 45 caps and 13 goals to his name. You wouldn’t bet against him scoring more goals for West Ham than Carroll, though, would you? 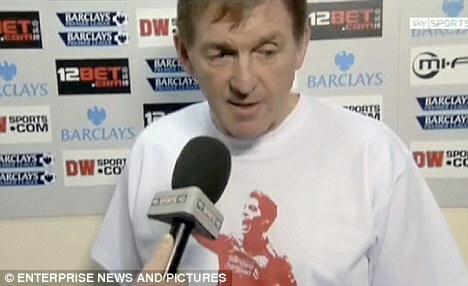 Try as he might, Dalglish was unable to top spending £35m on Andy Carroll as his biggest misjudgment. My question would be why is it any of Newcastle’s business what Torres gets sold for? If it was proposed that Carroll would cost Torres minus £15m, Liverpool still had to agree to it. They presumably could have either (a) offered Newcastle a different amount, or (b) just not bought him.